Until recently, robotization in the labour market was associated only with industrial robots. 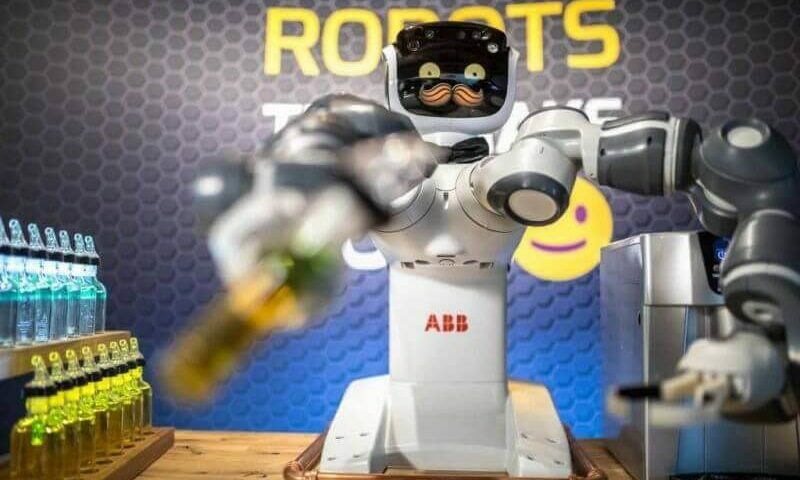 However, bearing in mind that technological development has greatly accelerated, many companies have started to use robots intended to contact the customer. Indeed, until recently the robots were used mainly in the industry sector. Over time, the agriculture sector has developed and changed, especially the intensive agriculture. Even though the machines are programmed for strictly defined activities, their impact on the employment structure is enormous, and the automatization process continues to develop. It will also affect the tertiary sector soon. Employing a robot is a tempting vision for many entrepreneurs. It makes possible significant savings while improving performance – the expense associated with purchasing the device should be paid back quickly. However, many of us do not fully realize in which job posts we can use the machines, even those with a great intelligence. You just have to look at some examples to understand the broad possibilities of technologically advanced robots. Momentum Machine company manufactures robots which are intended to prepare burgers very quickly. It is estimated that they can prepare 360 ​​sandwiches per hour. They move freely, they do not need an additional supervision. In the United States, there are first restaurants where the service process is completely automatic – orders are issued using a special tape that resembles an assembly line. And what about robots communicating with customers verbally? A good example is the simple, common chatbots. The software recognizes, based on the context, the caller’s expectations and respond to him in the most optimal way. They are very useful in marketing, they can also solve simple problems. In order to communicate effectively with a customer, a robot must have qualities of each above-mentioned devices: a high capability to move autonomously and to communicate with humans. These are exact qualities that have Wegree One robots. In their form, modern robots are increasingly becoming more like humans – usually those of quite a small size. However, not all of them move like we do, more often they use the wheels. Ultrasound sensors are a great asset, thanks to which robots move fully independently. Our robots also have tablets or displays that make communication even simpler, and the possibilities are getting wider. Intended to communicate with humans, humanoid robots are using not only a geostationary database to provide specialized information but also neural networks. This enables robots to learn in a similar way to us. They capture customer reactions and choose more and more optimal forms of communication while expanding their answers’ base. In this way, their behaviour begins to remind ours even more. They are polite, kind, smiling. Some of them gesticulate in a very realistic way. It is important to note that full-fledged communication requires speech recognition. 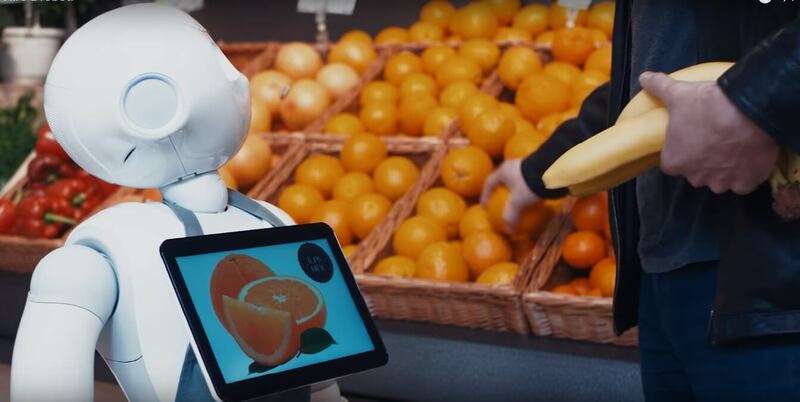 It makes it natural, and the customer reacts to a robot with a lot more confidence – not as an impersonal, remote machine, but as a source of knowledge, which he can talk to freely. Appropriately programmed, robots can recognize speech and provide answers in many languages. This greatly expands the range of their capabilities and makes it extremely useful wherever many foreign customers are present. Where exactly in the customer service robots can be used? Experts predict that roboticization will eventually affect most areas, although this is a relatively distant prospect. So far, they are mostly suitable for the places where the activity can be described by an algorithm, regardless of its degree of difficulty. 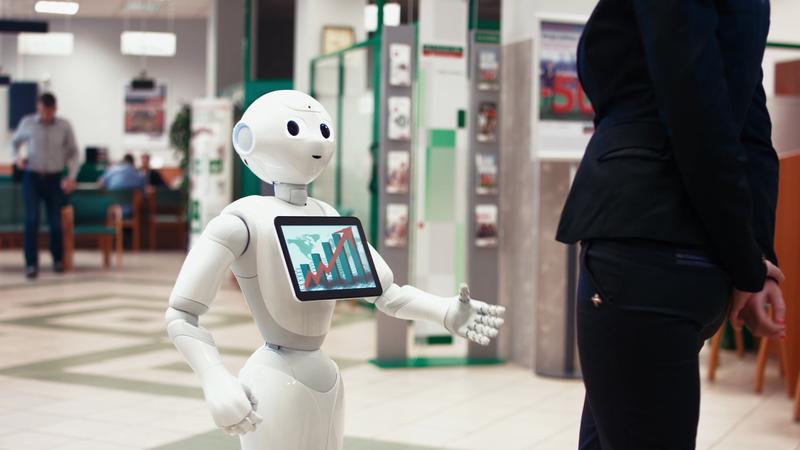 There are already book-robots, robots working at tourist information offices, or as robots-officials. These are just examples – the possibilities are much wider. Multilingualism of our devices will be useful in hotels and restaurants, which are popular among tourists. This way you do not have to worry about misunderstandings resulting from misusing a foreign language by the staff. The robot can be a receptionist’s assistant, or it can be completely self-reliable. It all depends on how it is programmed. They are also eligible for work in banks, shops (thanks to Pepper’s prehensile shoulders, it can work as a salesman), travel agencies. In the case of the latter, robots’ ability to find the most optimal option that meets specific criteria is extraordinarily useful. Is it worth investing in a humanoid robot? On the Polish market – so far – few companies have invested in such an advanced equipment. However, every entrepreneur knows that introducing innovation significantly raises the business status and attracts clients.